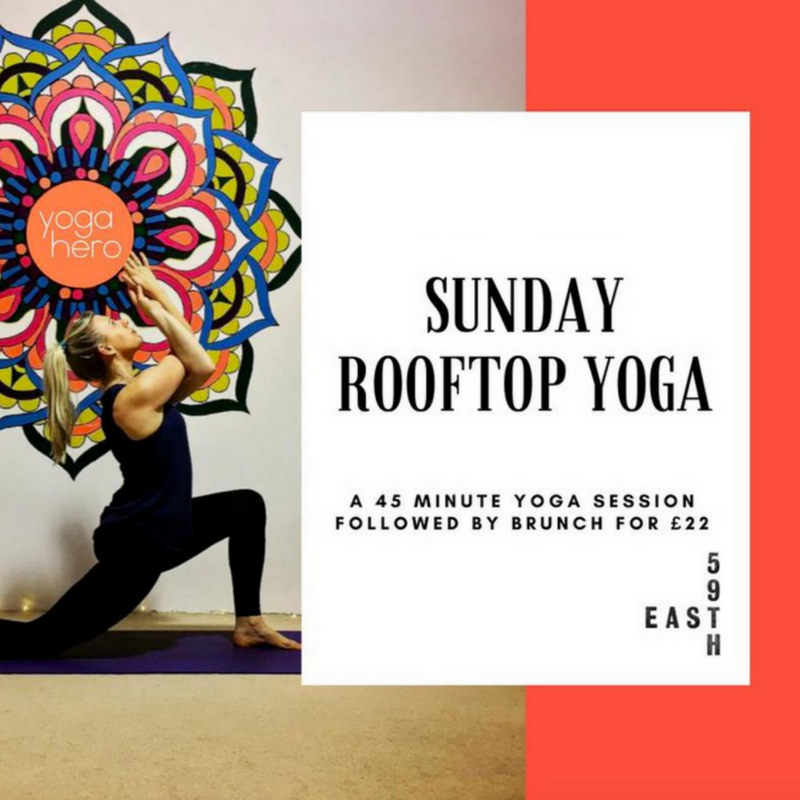 Enjoy a fabulous 45 minute yoga session with the team from Yoga Hero in our New York inspired rooftop venue. Join us for a challenging, but all-levels yoga flow, including a brief introduction on yoga philosophy, and then finishing with a peaceful, mindful relaxation; expect to feel energised, refreshed and calm! This yoga session is suitable for everyone – for all levels of fitness and all levels of yoga knowledge – no previous yoga experience is necessary. After your session, you’ll enjoy a healthy juice and snack followed by brunch served from 11am when the space will be open to the public. This class will be a maximum of 20 and you’re welcome to book a single space or spaces for you and friends.